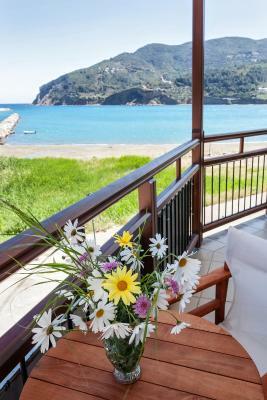 Excellent location with a beautiful view right next to the port and just a 2' walk from the town. 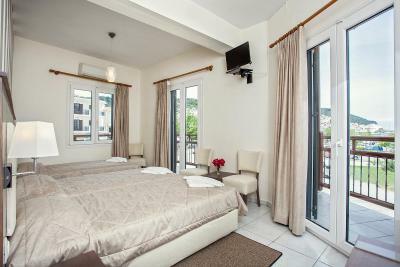 Very clean room with a nice balcony. Friendly staff. The view was stunning! The hotel is near everything. 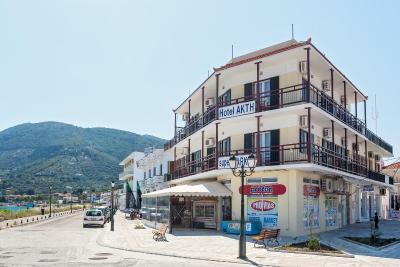 Bus stop for the beaches, Skopelos town for food, drinks etc, car rental agancies, and the port. It is exactly above a supermarket, for last-minute- food shopping. 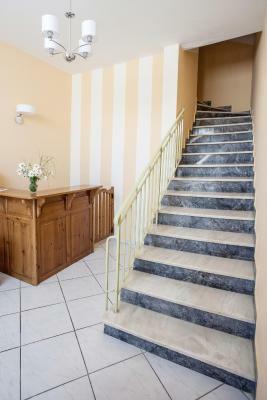 The location was perfect, right in the center of town with walking distance to everything. Retrieving the keys when we arrived was also easy, just into the supermarket underneath. Fresh towels every day was a bonus for such cheap accommodation. Perfect spot! 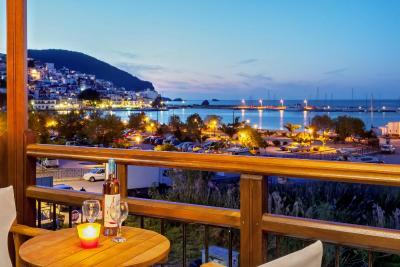 Next to Skopelos Port/Town. 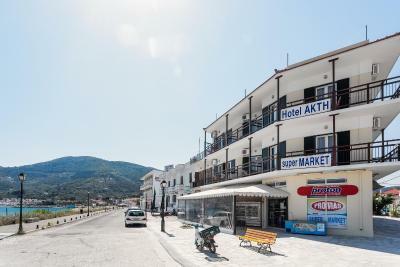 There is a market under the Hotel with everything you need! 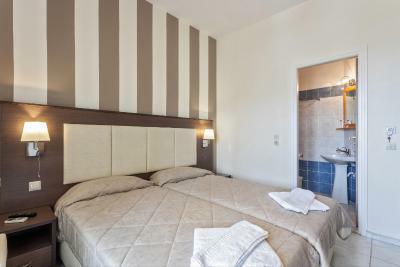 Clean room, with new towels every day! Good position right on the seafront with great views of the town. 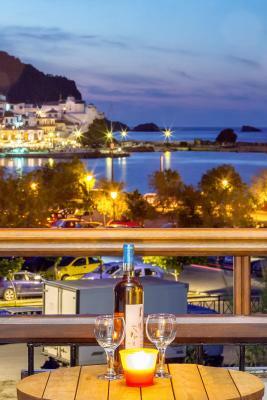 If you want to sit out on your balcony and sip a wine to the view of Skopelos Town and within walking distance of the best Greek restaurant ever ... Akti is for you. 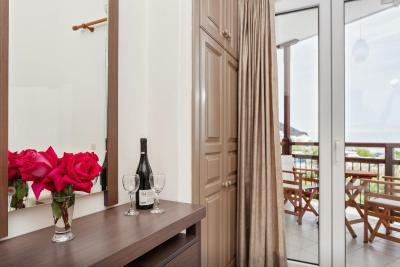 Basic nice room. The location is excellent. 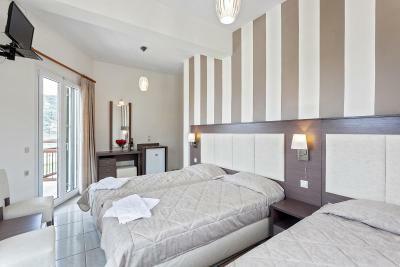 Beds were comfortable, good cleaning service and helpful personnel resolved small issues very efficiently. 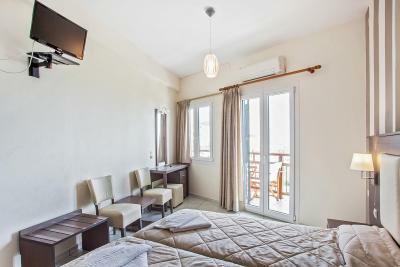 Big room. Nice view. No noise . The owner helped us with everything and fixed problems we told him. 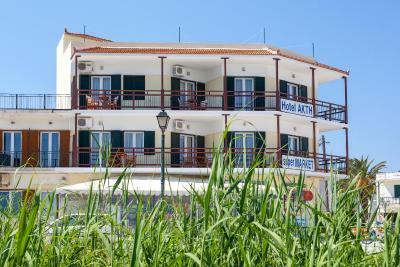 The property was well located for busses, Ferrys, excurtions etc. 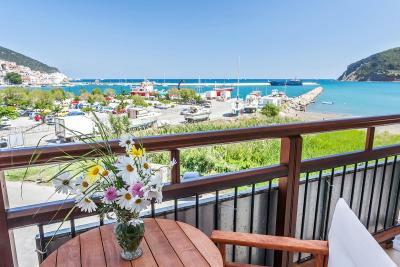 good views of harbour. Supermarket a good bonus underneath and Patissierie over the road excellent. 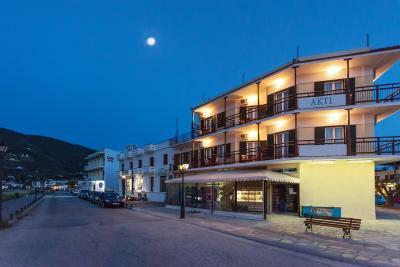 The seafront Akti Fine Rooms is a complex of rooms, located just a few feet from the main harbor of Skopelos Town. 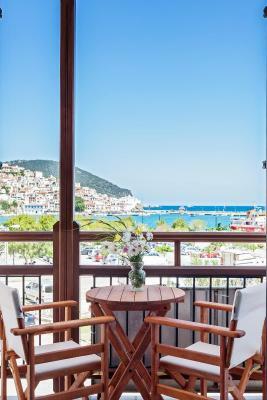 It offers air-conditioned rooms opening to a balcony with Aegean Sea views. 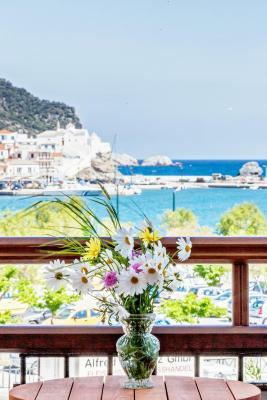 Guests of Akti Fine Rooms enjoy quick and easy access to the main coastline, a 2-minute walk away, as well as to a variety of pavement cafes, bars and restaurants. Within 66 feet, you will find the taxi rank and bus stop. 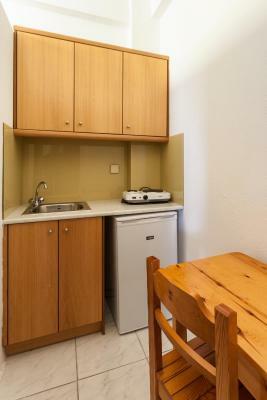 Each room is sunny and airy, featuring tiled floors, a fridge and a wall-mounted TV. 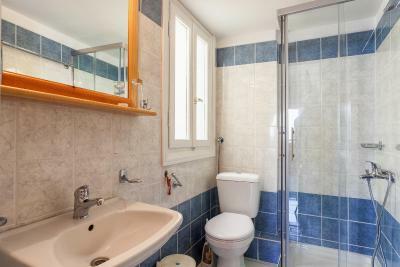 A private bathroom with shower and hairdryer is standard. A mini market is available in the premises for your everyday needs. Free public parking is available nearby. 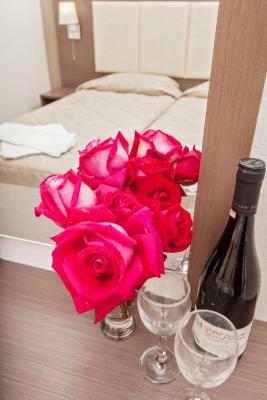 When would you like to stay at Akti Fine Rooms? 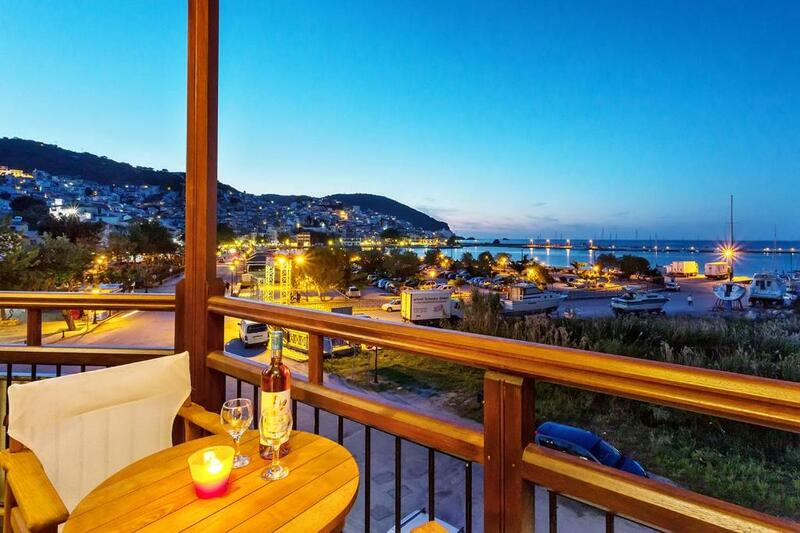 This room has balcony with view over the port and the sea. 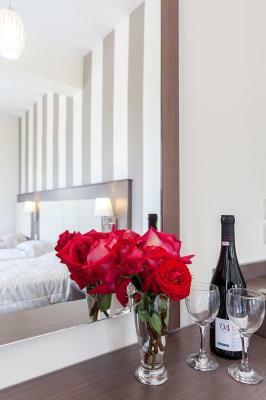 House Rules Akti Fine Rooms takes special requests – add in the next step! 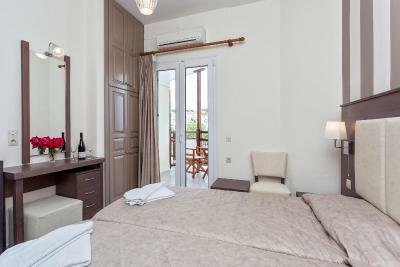 Akti Fine Rooms accepts these cards and reserves the right to temporarily hold an amount prior to arrival. We requested a sea view room and got confirmation of the room, however we didn’t get a sea view room. We over looked the main road. The room was also very small. However for the price we paid we couldn’t complain. Building works going on in the harbour were a bit noisy, the building works are only temporary so won't bother most future guests. No breakfast included, no reception desk. 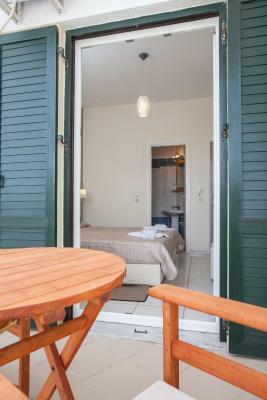 Shower cabin is kind of small and bathroom door creaked in a very annoying way. Our room wasn't spacious and the bathroom was too small. A little small in space but being small people not a major problem. shower would not accommodate a large person! !